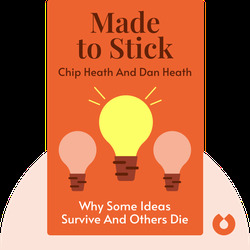 Made to Stick explains why some ideas become popular, while others wither and die. 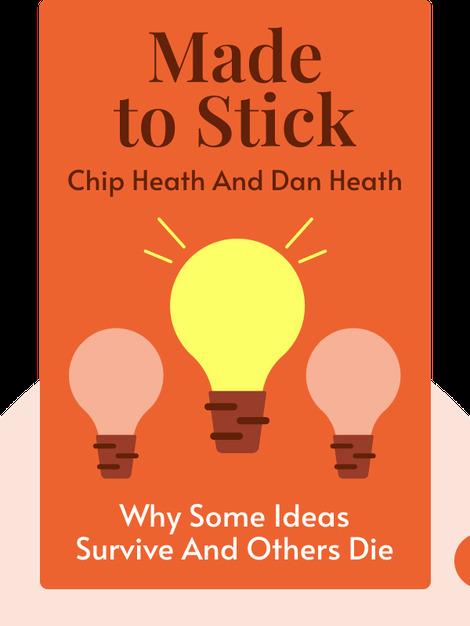 The book lays out the most important characteristics of “stickiness”; that is, what makes ideas “stick” in the mind, and how to make them work for you. Every film director, advertising executive, NGO worker and so on. Chip Heath is a professor of organizational behavior at Stanford University. He holds a BSc in industrial engineering and a PhD in psychology. His brother Dan Heath is an academic, consultant and founder of the publishing company Thinkwell, which takes a new, didactic approach to writing textbooks.